Canonical has high hopes for its mobile operating system. The release of an Ubuntu-powered tablet today pushed this further along. Canonical is the commercial sponsor of Ubuntu, the open source operating system. Ubuntu is a firm favorite in the server world, but that's not enough for a company whose charismatic founder (and one-time space traveller), Mark Shuttleworth, wanted Ubuntu to be the operating system for everything. That mobile play is being extended today, with the launch of the Aquaris M10 Ubuntu Edition tablet, the first of a planned series of converged devices. The cut-down version of Ubuntu takes a very different approach towards mobile interaction than the platforms we're used to: iOS, Android, and Windows Phone. 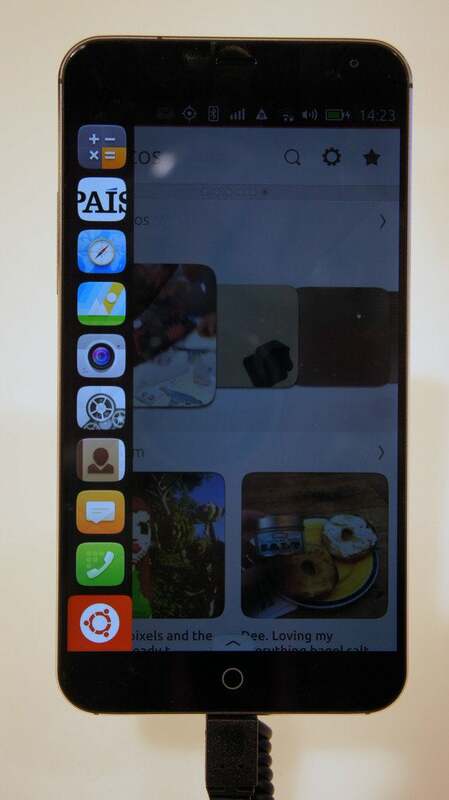 I've had a trial Ubuntu phone for a year or so now, and it's certainly a different way of looking at the mobile user experience. Rather than being completely application-centric, as is the case for the other platforms, Ubuntu introduced "Scopes" mobile pages, which are essentially aggregation destinations for web content. As an example, a "near by" scope might show local weather, local foreign exchange rates, and local sightseeing options. Scopes are a great way for a new player, without an existing mobile customer base or application ecosystem, to more rapidly build up functionality for their users. Alas, my experience with the phone has been that, while a novel concept, the execution of the device itself, and scopes, in particular, creates a performance burden that means users will be reluctant to adopt the platform. It's an issue I spent time talking with Canonical about, so more on that later. In terms of today's news, the tablet differs from the mobile device in that it doesn't just constrain users to the mobile operating system, but rather contains the full Ubuntu desktop experience. In this way, it is more like Canonical's original Android+Ubuntu strategy in that it has a mobile-optimized experience as well as a more traditional one. It is also, it must be said, akin to Windows in the current era, with the traditional start menu paradigm as well as a more smartphone-like app driven one. History hasn't been kind to Microsoft's dual approach in this way. I wonder whether Canonical will fare better. "We’re bringing you everything you’ve come to expect from your Ubuntu PC, now on the tablet with BQ, soon on smartphones. This isn’t a phone interface stretched to desktop size - it’s the right user experience and interaction model for the given situation. Also, in terms of applications, we have something no other OS can provide: a single, visual framework and set of tools for applications to run on any type of Ubuntu smart device." In terms of specs, I didn't get to trial a device yet, so I had to go by what the company has said. Canonical suggests the tablet has full multitasking and windows management, desktop notifications, fully featured file creation, browsing and management, and a fully responsive application development approach that supports both touch and point/click input. As for the device itself, this is the third mobile device developed in partnership between Spanish manufacturer BQ and Canonical. The Aquaris M10 Ubuntu Edition tablet has a 10.1-inch multitactile FHD screen with Dragontrail Asahi protection. It is built light, with 8.2 mm of thickness and 470 grams in weight, and includes a 7280 mAh LiPo battery. It has a MediaTek Quad Core MT8163A to 1.5 GHz processor. I spent time last year while at the OpenStack Summit in Tokyo, talking with Canonical's founder Mark Shuttleworth about the vision for Ubuntu in mobile. At the time, after using the smartphone for awhile I was a little dismissive. This feeling wasn't reduced any by the fact that Shuttleworth himself wasn't toting an Ubuntu phone. Shuttleworth's approach was that the cut-down Ubuntu operating system was applicable to a number of different areas, in particular for connected devices and IoT use cases. As such, people shouldn't look at the project as purely a smartphone opportunity, but rather one which Canonical and its partners can leverage for a number of industrial uses. This is a compelling argument. After all, most criticisms of Ubuntu mobile come back to the user experience and performance. Neither of these issues are particularly relevant for an operating system that is powering connected sensors and devices. In a conversation with Silber, I discussed this multi-faceted value proposition for Canonical itself. She told me that the IoT opportunity is massive, and it is, in her words, going gangbusters for Canonical. As to the criticisms of both application availability and performance for end users of the mobile devices, Silber indicated that this was still small, but the developer ecosystem is growing. It will be interesting to see whether the introduction of this tablet moves the needle in this regard.